Thanks to all who turned out for another great work day. The garden is looking great! We were too busy to take pictures while everyone was hard at work, but you can see from these photos that the results are amazing! 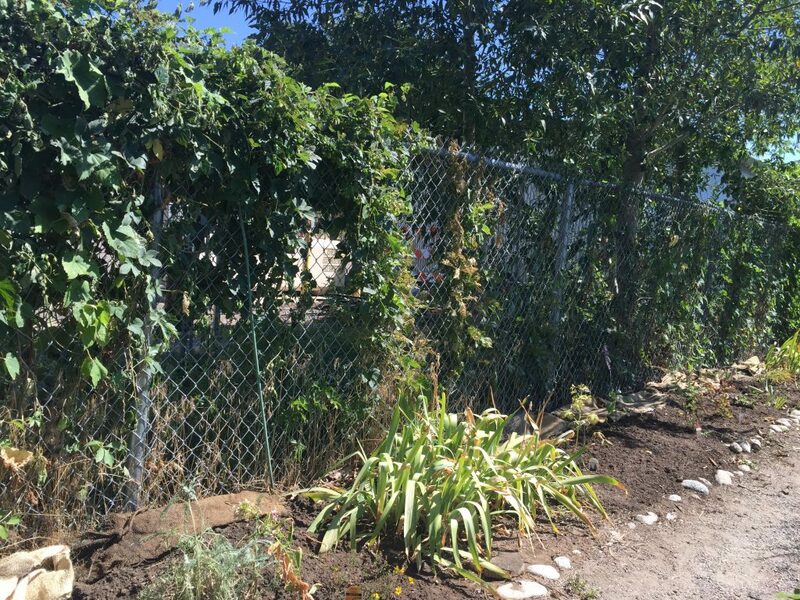 Brenda led a team to weed and plant new perennials along the north fence line. 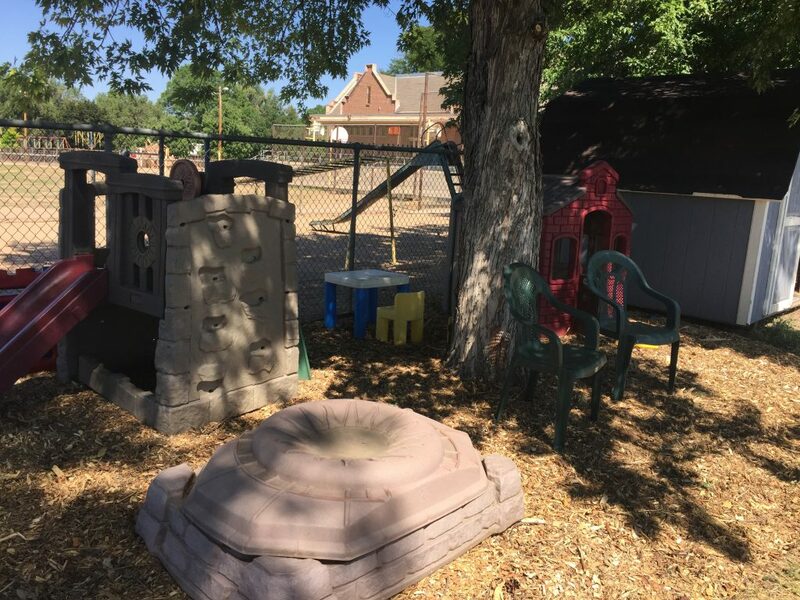 Thanks to: Jackie, Sue K., Steve K., Sarah M., and Trishia P.
Our fresh, new play area. 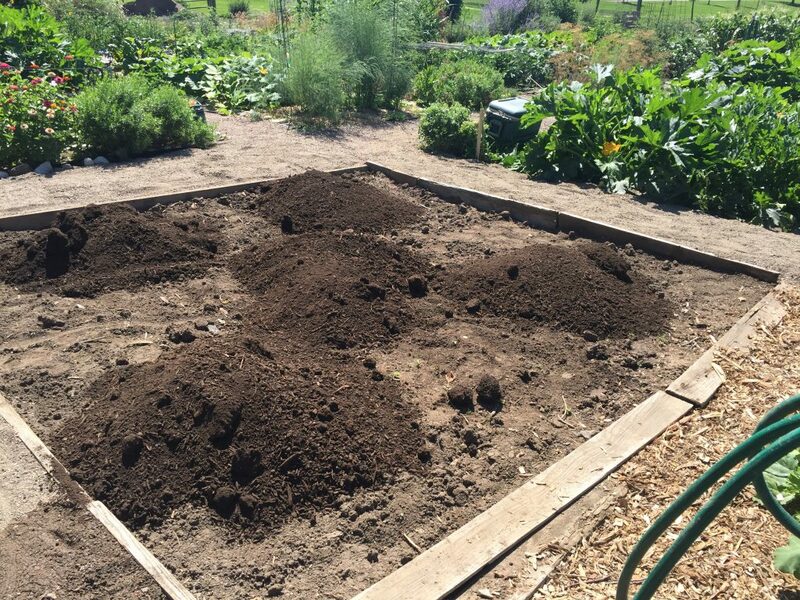 Thanks to Chris L. who dug out a base and spread a deep layer of wood chips for the playground equipment. 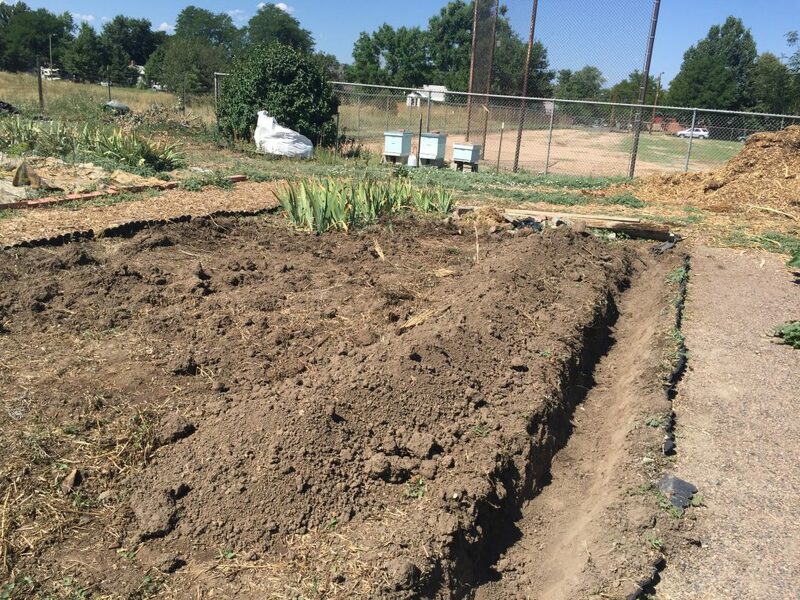 Charlie S. led a team to restore an abandoned half plot. It looks beautiful! And it has already been assigned for next season. Many thanks to Tom M., Fran M., Sissy, Matt S., Linda B. The bokashi test site was weeded and a trench was dug to bury bokashi compost into. We have a soil sample from before we began adding bokashi to the plot, and will take another sample at the end of the season to determine how the bokashi is improving the soil. Many thanks Steve K. for the hard work of digging the trench, and to Charles M. and Priscilla for weeding. Sorry, no photo, but the bokashi team did another amazing job of composting. There’s plenty of bokashi tea ready to use as a foliar, or soil, treatment on your gardens. My tomatoes are loving it! If the one gallon jugs are empty, there should still be plenty of tea in the two marked barrels on the farthest right end. Help yourself! Thanks to: Marilynn, Andrew, Russell, and Zach. I’m sure I have neglected to name everyone who turned out on Saturday, but everyone’s hard work is really appreciated.